At Codebits, an amazing event organized by Sapo (an awesome, innovative Portugese company) a lot of nice stuff was happening. Besides a 48 hour programming contest, there was a hardware hacking den. This is where I met Mitch Altman again and lots of cool Portugese people who were making awesome code and awesome things! Also had a nice talk with Rob Bishop, a smart and down-to-earth guy who revolutionizes computing by making the Raspberry Pi into a global hit ‘from the comfort of his bedroom’. Besides printing stuff that people designed all throughout the event, I also gave a talk and several workshops on how to ‘code pysical objects’. A recent development (found after the talk) that I’m really excited about is CoffeeSCad! You should check that out, too! For a video of my talk, have a look here or click the image below. Again, I’d like to thank the many volunteers, in particular Pedro! He and his many friends made the visit to Portugal a very nice one. Also, Celso, who was main instigator of the whole Codebits experience, which really is something to whiteness before you believe it! It was also amazing to meet Nelson Neves and Dini Miguel who were doing awesome projects of which I’m sure you’ll learn more. 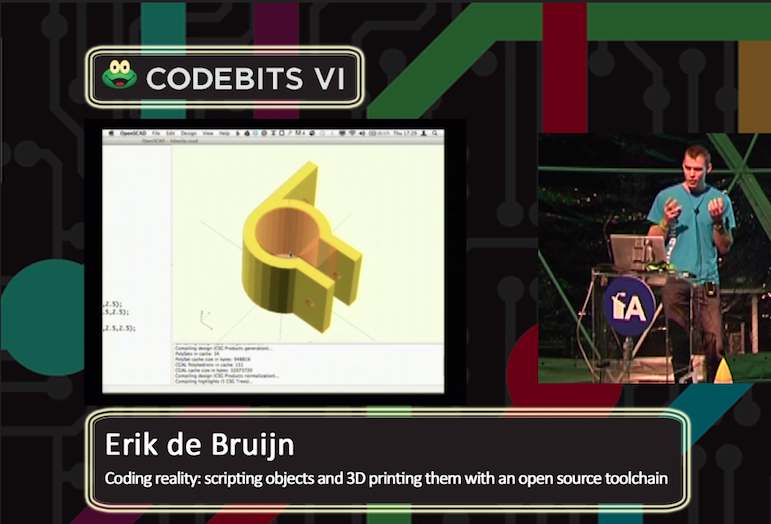 Ultimaker was proud to be listed among the the sponsors of the epic Codebits 2012 event! For those of you who know your Portugese, Ultimaker was mentioned on TV station RTP, here. 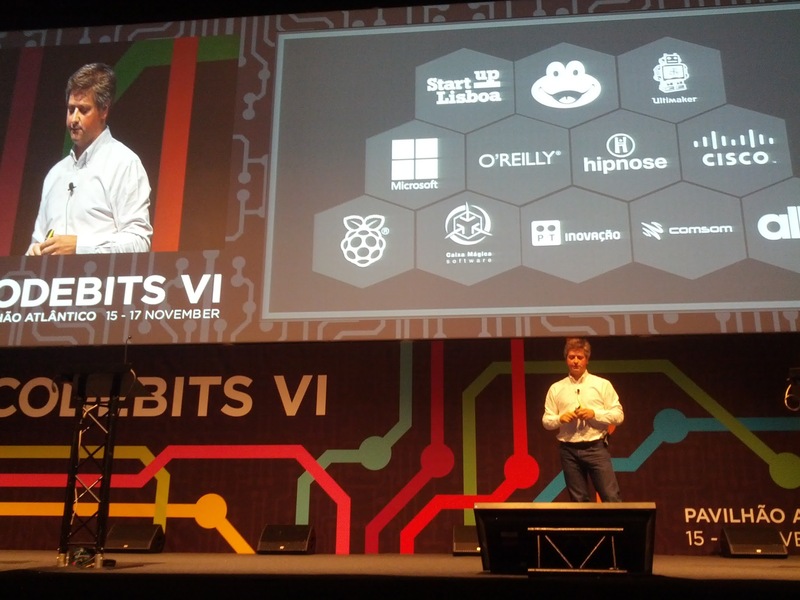 Can’t wait until Codebits 2013 arrives! Next story Big News: Ultimaker is now selling fully assembled 3D printers!